Should five per cent down be a requirement? 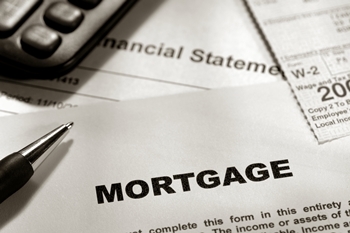 The level of mortgage debt in Canada has sparked furious debate among industry professionals about qualification standards for mortgages. The comment was in response to an article about the levels of mortgage debt Canadians have accrued across the country. According to BuzzBuzzHome, British Columbians have racked up mortgage debt faster than they’ve grown home values. In 2012, the average value of a house rose 83.7 per cent over 13 years, to $535,400 – this being before the market went ape. The amount of mortgage debt West Coast homeowners took on, however, increased more than 132 per cent over the same period to $241,800, or 45.2 per cent of the value of the home. And at least one mortgage professional disagrees with Tagg. I have to agree with Blair on this subject. The majority of people who buy with 5% down are first time buyers and either living with parents or renting. Either of those scenarios probably have a lower housing cost than the cost of owning, so if they cannot save any money while living on the cheap, how can they possibly have the discipline to be responsible homeowners. I am sure there are rare occasions and specific circumstances that would not fit into my logic, but for the vast majority of situations, no down payment spells disaster. i can't disagree that a person should have some form of a down payment for a home purchase even if it is a gifted down payment or borrowed should the borrower have strong enough credit. I fail to see the difference in risk where a person is gifted or borrows the down payment to put as a down payment. As i see what is happening once a mortgage is placed with a bank,the bank goes out of their way for a client to offer generous loc's and credit cards and auto loans with no down payment. Seems to be a double edge sword here. If you have a loc unused or not you probably don't get a mortgage,once you get the mortgage the 3% rile no longer applies so here you go take the $20k loc.I think the borrower ends up in the same position. I see very few judgements on credit bureaus for mortgages however can't say the same about auto loans and locs and visas. Makes no sense whatsoever. I believe that if buyers and sellers each use a Realtor it would be fairer for each to pay their own agent as opposed to now, the seller pays all to his agent who splits it with buyers agent. The problem is that lenders and insurers won't cover that expense if the price of the house is lowered by the buyer's agent's commission and many only have 5% down and so cannot cover it. Additionally it skews the valuations if there are 2 methods of payment to deal.